Fusing Star Micronics' existing strengths in high-precision manufacturing technologies-steadily accumulated since our inception-with advanced electronics, we have crafted a unique portfolio of mechatronics technology. This proven technology underpins our lineup of Small Printers, Visual Card Reader/Writers, products that satisfy the needs of, and play a vital role in, numerous fields around the world. Early moves to establish overseas manufacturing sites, and efforts to attain global standards in advanced technology and quality, support the trusted Star Micronics brand today. 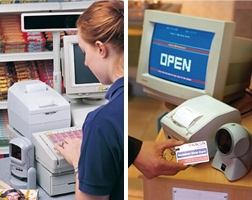 Our Small Printers are used extensively by supermarkets, restaurants and other businesses. We also have a presence in other market segments with our mechanisms for printers used in kiosks, for printers used to print overseas lottery tickets and other applications. Praised for their unique development features which satisfy market needs, compact dimensions and rapid printing speeds, these mechanisms have also earned a strong reputation around the world. Our Visual Card Reader/Writers are used by supermarkets and other retailers for member cards, by hospitals for patient appointment cards and in numerous other applications. 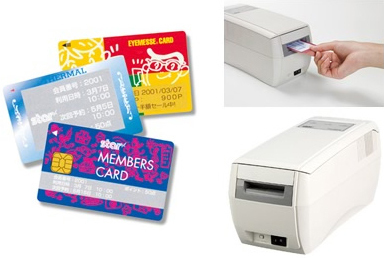 Their beautiful clear printing, high-speed rewritable performance and superior expandability and flexibility, for example with a wide range of different interfaces, have earned our Visual Card Reader/Writers a strong reputation and market acceptance. As the card business markets expand and interfacing with computers and POS systems increases, business demands for our Visual Card Reader/Writers are also expanding. 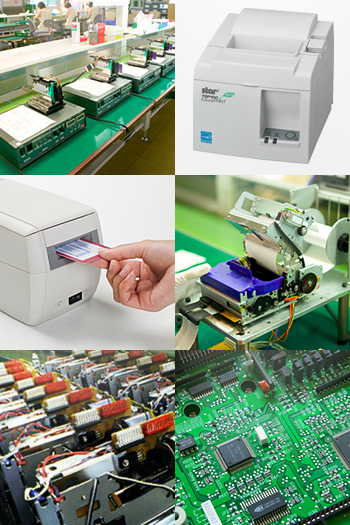 Star Micronics Cloud Service offers a wide variety of services for small and mid-size retailers who are using Star printers. Our cloud service utilizes Star printer’s hardware and software in order to create added value both for retailers and for shoppers. Our digital receipt application AllReceipts® is offered for free to retailers who are using our Star printers and enable shoppers to enjoy the convenience of having their receipts available anywhere, anytime, on any device. The receipt data is stored on the Microsoft AzureTM cloud server and shoppers can see it by using the AllReceipts　app on their smartphone. With features such as Engage NOW, Receipt Flip, and real-time feedback based on customer satisfaction, retailers can use the app as a digital marketing solution. Using the app retailers can reduce their use of paper and reduce their expenses. In our cloud business, we are socially responsible for management and maintenance of security of information assets, while providing services which achieve high customer satisfaction. To fulfill our responsibility, we have established the basic policy for information security and engage in the information security management to obtain trust of customers and the society, based on the philosophy determined by our division.